Does the Quran prophesize the state of Israel and the current conflict in the Holy land? One of greatest calamities to have faced the Ummah for over half a century has been the establishment of the state of Israel. A number of Modern day scholars are of the opinion that the beginning ayaat of Surat Al Isra speak of Israel and its destruction. This is based on a number of details mentioned in the Quran that if we look at history, can only be attributed to the modern state of Israel. As a starting point one needs to understand that classical scholars and commentators were missing a vital tool when interpreting ayaat referring to events, specifically those events that have yet to occur. It would be no surprise to understand that the political environment at the time did influence Quranic interpretation of ayaat speaking of future events. The scholars of the past did their utmost to arrive at the correct meanings and understandings of certain ayaat but in some instances interpreted them out of context because there was no other way to understand them. Telling a classical exegete that someday a small jewish state would emerge and become a superpower and oppressive state in the Holy land while Muslims were helpless to do a thing would be like telling someone today that a time will come when the US, Russia and China would stop manufacturing armaments and work for world peace and equality for all! The Surah we will be examining is Surat Al Isra, a Surah which begins by mentioning and describing The Prophet's night journey to masjid Al Aqsa as well as the great corruption caused by the Children of Israel in the Holy land, The central focus of the Surah is the importance of making Allah alone the disposer of all our affairs by following his guidance in the Quran. There is no Surah which speaks about the Quran and Al-Insaan ( refined human) more than Surat Al Isra. Through following the divine guidance and turning to Allah we gain our humanity and when we neglect this we have the potential to reach the lowest of the low as the Children of Israel in our time. The final promise ( وَعْدُ الْآخِرَة) – In this world or the next ? The term وَعْدُ الْآخِرَة "The final promise" occurs only twice in the Quran and both instances are appropriately mentioned in Surat Al-Isra; once in the beginning and once in the end of the Surah. Based on the context, this term is used for an event that will take place in the future and that will occur in the Holy Land at Masjid Al Aqsa and the blessed land surrounding it. A number of Scholars of the past understood that the ayaat related to the final promise were speaking of the future but interpreted them as ayaat speaking of the hereafter. Some understood that it was in this life, but that it had already occurred. Some consider that it refers to the opening of Jerusalem by the Caliph Umar Ibn Al khataab RA although this interpretation is quite problematic as the Children of Israel did not have control over Jerusalem at the time and were not causing widespread corruption throughout the land ( as described in the Quran). A few things to note about his ayah. 1. The corruption stated here is not corruption on an individual or group scale which occurs all the time. Since the word "twice" was used, it is speaking about the corruption of the Children of Israel as a nation. 2. The corruption occurs in Al A'rd i.e. the land. It's not corruption specific to a particular area. Some commentators have stated that "The land" is the "Holy land" but Allah SWT does not qualify which land it is. What is understood from the actual wording is that the corruption will be throughout the land, and would be significant enough to warrant a punishment from Allah (SWT). 4. Describing it with the word Kabeer ( Great). Even Firoun's haughtiness was not described to the same extent. Note: Although double emphasis is used in the ayah, the emphasis is on "Firoun being haughty in the land" as opposed to the ayah speaking about the Children of Israel which doesn't emphasise the fact that they will become haughty but rather it emphasises ( 4 times) the great degree of haughtiness they will reach. One should note that this prophecy is also found in the Jewish Bible. The corruption of the Israelites began following the death of King Suleiman AS in approx 935 BC. The Children of Israel began to decay spiritually and corruption became widespread. 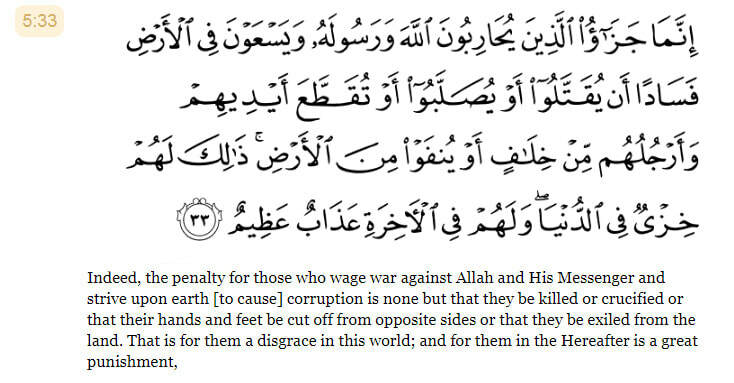 Whenever the scale of corruption increased so did the intensity of the enemies sent by Allah. There were constant conflicts and skirmishes until the Northern kingdom was destroyed by the Assyrians completely in the year 722 BC. Following the invasion, most of the Jewish tribes were either killed or taken as slaves. The skirmishes and attacks continued against the Southern Kingdom until it was destroyed by the Babylonians in 586 BC. This marked the end of the last independent kingdom of the Israelites. The Israelites never regained power over the holy land until 1948 with the formation of the zionist jewish state. This is why we find many contemporary scholars maintain that the second of the promises refers specifically to the destruction of the state of Israel. My son is intelligent. Here the emphasis is on my son since there is ascription ( Idhafa) of him being my son. There is also a sense of pride on the part of the one saying this. A son of mine is intelligent. In this example the son is not defined therefore there is emphasis on intelligence with no mention of which of my sons it is. 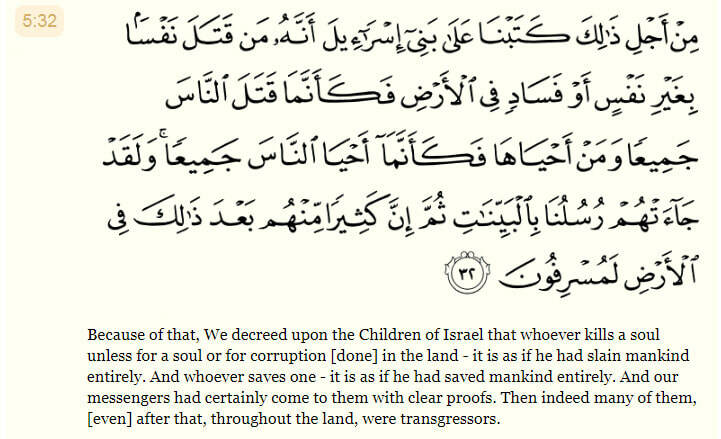 So the term used in the ayah is indefinite and does not define a specific group or army. Also unlike the later term, there is no honoring but rather there is emphasis on the quality that is associated with the servants i.e. Why then is not the word for Army ( جُنُود or جَيش ) used to describe them? 1. How far the Israelites had strayed from Allah Most high and to add insult to injury, their enemies are described with a title that they should have been called. 2.The invading armies were, by the permission of Allah SWT, used as a divine punishment for a people who had turned away from Allah SWT! Q. Is every jaarr wa majrur and tharf a Sibhu Jumla? A. It is important to note that not every jaarr wa majrur or tharf construction can be classified as a shibhu jumlah. It is only when the muta'allaq ( that which the jaarr wa majrur or tharf is connected to) is dropped, out of necessity. Here the words in red are the muta'allaqs to which a jaarr wa majrur (or tharf) must necessarily be connected to. The muta'allaq has been written above but is dropped because to mention the muta'allaq would be redundant. Here the muta'allaq ذَاهِبٌ (highlighted in red) - to which the jaarr wa majrur إِلَى الْمَدْرَسَةِ is connected - must be mentioned in the sentence and cannot be done without otherwise the sentence won't make sense. So you can't just drop ذَاهِبٌ and say زَيْدٌ إِلَى الْمَدْرَسَةِ because this won't make sense unlike the first 2 sentences above. So the main difference between when and when not to consider a jaarr wa majrur or tharf as a shibhu jumlah has to do with whether or not the muta'allaq is necessarily dropped. If the muta'allaq is necessarily dropped as in زيدٌ مَوجُودٌ في الدَّار , then the jaarr wa majrur or tharf is a shibh jumlah. If the muta'allaq is not dropped as in زَيْدٌ ذَاهِبٌ إِلَى الْمَدْرَسَةِ then the jaarr wa majrur or tharf is not a shibh jumlah. It should be noted that there are some people who consider any jaarr wa majrur or tharf construction as a shibhu jumlah. This however is not technically correct. A Shibhu jumlah is a specific kind of jaarr wa majrur or tharf construction - the kind in which the muta'allaq must be dropped out of necessity. Now, in each of these cases the jaarr wa majrur في الدَّار or فِي دَارِهِ is a shibhu jumlah, and can be said to be the khabar, haal, sifah, or silah mawsul in place of the muta'allaq that has been dropped. Alternatively, one can still consider the dropped muta'allaq to be the khabar, haal, sifah, or silah mawsul, and the jaarr wa majrur (muta'alliq) connected to it. You will find both these alternatives being used when doing i'raab or tarkib of sentences. The Quran mentions the greatest human genocide in human civilisation that has and will occur until the day of judgement. The word الْمَوْءُودَةُ has been traditionally translated by the commentators of Quranic exegesis as the new born female who is buried alive. So the ayaat are speaking about female victims of infanticide being asked about this heinous crime on the day of Judgement. What you notice about the beginning of Surat Al-Takweer is that it speaks of universal phenomena that transcends beyond Arabia. It speaks of the sun losing its light, the stars being dispersed, the mountains moving, close relations being nullified, wild animals being gathered, the sea filled with flames, etc . All these descriptions are in total opposition to their nature which we see in this world. The word الْمَوْءُودَةُ is from the verb وأد which means to bury or cover over. The word الْمَوْءُودَةُ is feminine and a passive participle and is commonly translated as the female newborn that is buried and covered over. Another way to look at الْمَوْءُودَةُ is to consider it an adjective (sifah) of an omitted mowsoof - the word being described. 2. The souls being paired up with their good/bad deeds. So in this interpretation الْمَوْءُودَةُ is describing النُّفُوسُ. So we are talking about النُّفُوسُ الْمَوْءُودَةُ i.e the souls on the day of judgement who are the most helpless, most vulnerable and without any sin. It is these souls ( both males and females) who have been murdered in cold blood leaving no trace or evidence that a crime has been committed. 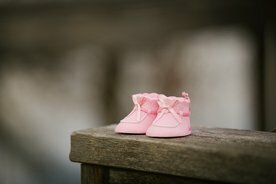 One can only speculate how many such souls have been murdered in cold blood, killed by parents or caretakers, killed to cover unwanted pregnancies, killed because of being a financial burden, disabled, killed in anger, drugs, neglected by parents, war, famine and the list goes on and on and on. And every day the numbers keep increasing!!! The first act of justice the Quran mentions on the day of judgment will be the empowerment of the weakest and most helpless victims of genocide in this life. The murderers will not be questioned, but rather the helpless victim will be asked: what sin had they committed to deserve this? These pure innocent souls, who had no say in this life, will reply and this would begin proceedings in the court of Allah, The Most Wise and Majestic. Dr Fadl Salih Al-Samarai a famous Arabic Grammarian in the Arab world compared the Arabic language to a highly sophisticated, state of the art computer alongside the English language (or any other language) which he compared to an obsolete and outdated computer. This might sound a bit biased considering he is an Arab, a Muslim and a famous Arabic Grammarian on Arab TV, however he has very good reason to make this comparison once we examine the Arabic language in a bit more detail. Before we can understand this comparison we need to understand the difference between a declining language like Arabic and a non-declining language like the English language. In all 3 sentences Khalid is written the same way in English regardless of what role it plays in the sentence. On the other hand you will notice the ending of the word Khalid in Arabic (خَالِد) changes depending on its role in the sentence (Khalid(un), Khalid(an) and Khalid(in) respectively). In the first sentence he is the doer of the action, in the second he is the object and in the third Khalid is followed by the word مَعَ (with). Most nouns and verbs in Arabic decline depending on their role in the sentence. Declension, as Dr Fadl explains gives the Arabic language an added dimension of being able to communicate what one wants to say in the most precise way possible that English and other non declining languages are incapable of doing. It would make absolutely no sense. Also if we wanted to say the same sentence in another way we would need to bring in a new word or change a word with one of its synonyms. In all 10 sentences the same words are used with each word having the same function in the sentence. Each of the 10 sentences can be translated back into English as "Muhammad gave Khalid a book"
Now the question will arise what is the point. Would this not make the other 9 forms redundant since they all have the same meaning. Actually they all have the same general meaning with a subtle difference in each based on the positioning of the words. This is said to one who did not know anything of the event (i.e. Muhammad giving Khalid a book) prior to hearing it. In other words, this is completely new information for the person hearing it. One is aware that Khalid received a book but is unaware of the person who gave it to him. So one would ask "Who gave Khalid the book?" and this would be the response. One is aware that Khalid received something from Muhammad but is unaware of what he gave. So one would ask "What did Muhammad give Khalid?" and this would be the response. One is aware that Muhammad gave something to someone but is unaware of what was given and to whom it was given to. So one would ask "What did Muhammad give and to whom it he give it to?" and this would be the response. This is one example of how English seems quite powerless when compared with the Arabic language. Dr Fadl has written many books on the linguistic miracle of the Qur'an and I will try to share some of what he says. Much of his work is taken from Islamic scholars and grammarians of the past although he has added a substantial amount of his own insights. "It is possible to convey a single meaning with a variety of words, some more expressive than others. Likewise for the two parts – subject and predicate – of a sentence; each may be expressed in the most eloquent manner when taken alongside the other. Therefore, it is necessary [in good composition] to consider the overall meaning of a sentence, then to consider every single word that may be used to convey that meaning, and then to use the most appropriate, expressive and eloquent of those words. This is impossible for man to do consistently, or even most of the time, but it is well within the Knowledge of Allah [whose knowledge is boundless], and thus the Qur'an was considered the best and most eloquent of all speech…"
We have courses available that deal with this aspect of Rhetoric related to sentence structures and the associated meanings associated with changing word positions. This is part of a big topic in Balagha (Rhetoric) known as I'lm Al-Ma'aani ( the science related to meanings). "My mercy surpasses My wrath"
You will notice the order in the Quran with Allah SWT mentioning the forgiveness for his creation prior to mentioning his punishment. The Messenger of Allah (ﷺ) said, "When Allah created the creatures, He wrote in the Book, which is with Him over His Throne: 'Verily, My Mercy prevailed over My Wrath"
However, there is one instance in the Quran where punishment is mentioned prior to His mercy. To understand why this is the case we need to look at the context. If we read the Ayaat prior We can understand why this is the case. We have the story of the Murder of Habeel who was killed by his brother and the revelation given to the Children of Israel regarding taking of another soul and saving a soul. Allah SWT then mentions the severe punishment of those who wage war against Allah SWT and His Messenger and sow corruption on the earth. In this context, punishment being mentioned prior to forgiveness was more appropriately sound . Appropriate sentence positioning is just one of the numerous considerations that one needs to take into account when authoring speech. Take into account that the Quran was speech that was spoken by the Prophet SAW over a 23 year period with no editorial process then one can begin to appreciate the Quran's divine nature and its superiority over all other speech. In Arabic, the word Balaagha is derived from the root verb ba-la-gha. Literally, it means: "to reach, attain, arrive at, or to get to a destination”.Technically, Balaagha is the art of reaching the utmost perfection in speech or writing style. It is a discipline that deals with clarity, correctness, and beauty in Arabic writing or oral expression. It is also a process, which enables one to distinguish between beautiful and ugly styles in expression. For every occasion there is an appropriate speech act ( and in in some cases silence is the best response). 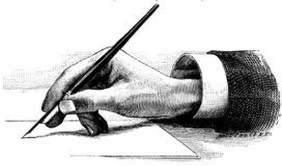 In Grammar (Nahw), we are concerned with grammatically sound text void of any grammatical errors whereas in Balagha we are, in addition to that, concerned with the contextual appropriateness of statements. The “correctness” of the text based on the rules of classical Arabic correspond roughly to what is referred to as fasahah which is a necessary component of Balagha. So while fasahah can exist with Balagha, the latter cannot exist without the former. To make a text contextually appropriate ( Baleegh) means that the speaker needs to modify and change his text as per context. Hence, it is the context that determines for example, how long the text should be, whether certain elements in the text should be mentioned or omitted, made definite or indefinite, qualified or unqualified, maintain default order or not etc. In addition, imagery, figures of speech (similes, metaphors etc), linguistic ornamentation and beautification such as rhyming and so on, all contribute to the quality and effect of the message on the listener. We have a number of courses found in the Advanced and Quranic studies sections which deal with this vast subject which will give students glimpses of the Quran linguistic miracle.